Her determination, dedication, and desire brought home the Gold Medal Dominique Dawes had always focused on as her dream - and nothing would stop her from reaching it - definitely not the fact that she was still just a kid. By the time she was fifteen years old, she was standing on the podium to receive the Olympic gold medal in gymnastics. In 'Heart of a Champion' discover how her faith in God and hard work led her to become one of the top gymnasts in the world. Let her story and her motto of 'determination, dedication, and desire' encourage you to become all that you can be - in competition and in life. Includes a special note from Dominique Dawes. 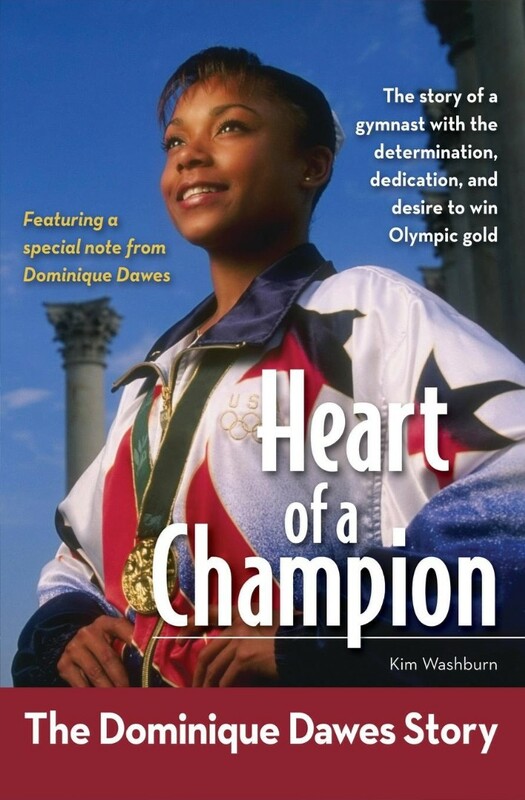 Heart Of A Champion by Kim Washburn was published by Zondervan in May 2012 and is our 3216th best seller. The ISBN for Heart Of A Champion is 9780310722687. Be the first to review Heart Of A Champion! Got a question? No problem! Just click here to ask us about Heart Of A Champion.